A man accused of fatally stabbing his 64-year-old mother inside her Oceanside home pleaded not guilty Wednesday a murder charge and was ordered held without bail. 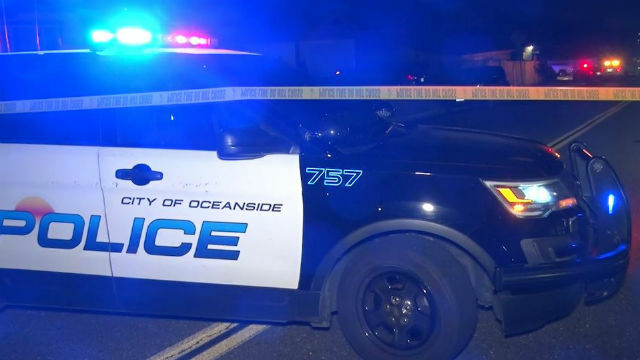 Officers were called at 12:30 p.m. Sunday to Regina Sardina’s residence in the 3900 block of Shenandoah Drive, near Pauline Way, after one of her three sons found her dead of severe upper body trauma, Oceanside police spokesman Tom Bussey said. The son had gone to check on his mother after she failed to meet one of his brothers as planned in Las Vegas, Bussey said. Officers found the victim’s Mercedes-Benz sedan around 5 p.m. Sunday in the parking lot of a shopping center near the intersection of Plaza Drive and College Boulevard, Bussey said. Anthony Sardina was spotted leaving the area in a taxi cab, Bussey said. The taxi company told police that the 37-year-old suspect was dropped off in Carlsbad, and Carlsbad police arrested him shortly after 6 p.m., according to Bussey. Police have not disclosed a suspected motive for the killing. The Nov. 28 preliminary hearing date was set for the defendant, who faces 56 years to life in state prison if convicted, said Deputy District Attorney Robert Bruce.